Last week, I drove to Bend, Oregon with my pal Pete to meet some friends for a long boys weekend of mountain biking, golf and fly fishing. We left Boise Wednesday afternoon with a 300 mile road trip in front of us. The bulk of the journey occurs along Highway 20, a stunning two-lane ribbon of road (mostly devoid of billboards or even buildings) which winds its way through a beautiful high-desert landscape of sagebrush, looming bluffs and farmland. As the sun began to set, we realized that we were pretty hungry and started looking for a place to eat. 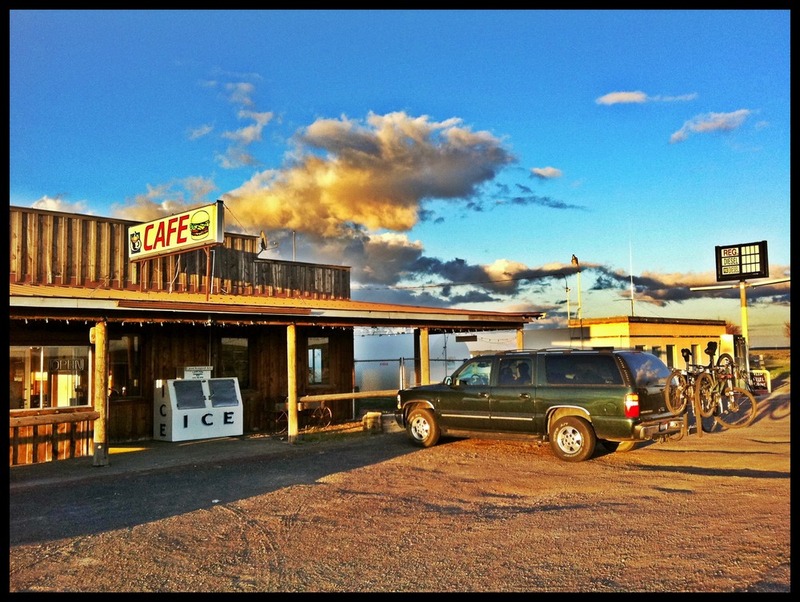 We finally saw a building on the horizon and to our delight, it was a roadside cafe which appeared to be torn from the pages of a Norman Rockwell coffee table book. We pulled in and it was clear that the woman out front was closing down for the evening. Despite just switching the sign from OPEN to CLOSED, she welcomed us with a big smile and invited us in for dinner. Quite hungry by this point, we took her recommendation and ordered a couple of big patty melts with all the fixins. She told us we were in Brothers, Oregon – population 13. Towards the end of the meal, I shared with Pete that I had been in Bozeman earlier that week to take part in film called the Montana Ethics Project in which I discussed the topic of how to create a better entrepreneurial ecosystem in Montana. During my talk, I made several references to my wife Pam’s great grandparents who jumped off their wagon heading west on the Oregon Trail and homesteaded in Pocatello, Idaho where they establsihed Rowland Brothers, one of the first commercial dairies in the State of Idaho. I used the Rowland story to make an analogy between entrepreneurs in the region who created the agricultural-based economy of the last century and those blazing the trail of transitioning to a knowledge-based economy in the 21st century. 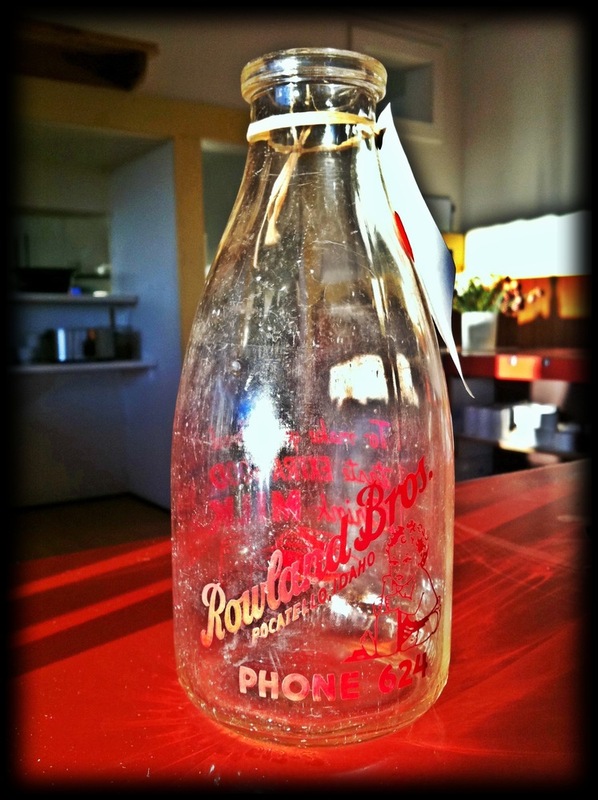 I shared with Pete that in preparation for my talk, I had spent a bunch of time over the last few weeks researching the Rowland brothers story and as a result, started looking around on the web for a way to buy some memorabilia from the early days of dairy as I had become a little obsessed over it. Having driven the 200+ miles so far, I got up to walk around the cafe to stretch my legs a bit and look around at the historic pictures on the walls. I wandered into a small side room with an “antiques” sign over the door. I wandered around for a minute or two looking at the various items and saw an armoir at the back of the room. As I got closer, I realized there were 5 antique milk bottles on one of the shelves. Four of them were facing me and the fifth one was turned around. You can imagine my surprise when I slowly turned the fifth bottle and staring right at me was a glass milk bottle (more than fifty years old) with bright red letters that read “Rowland Brothers – Pocatello, Idaho” and “Phone 624.” I stood stunned at what I was holding in my hand. I was more than 500 miles from Pocatello in a tiny town in Oregon. Nevere before in my life had I come across anything from the Rowland dairy. But on this day, when I had spent the last couple of weeks thinking intensely about, somehow the universe put this bottle in front of me. Adding to the sheer serendipity of the moment was the fact that not a minute earlier, I was telling Pete the Rowland Brothers story and how I was looking for items from the dairy. I’m not sure what the odds of this happening was, but they have to be lottery-like. My wife Pam likes to say that “thoughts are things”, meaning that you can turn your thoughts into reality just by thiking them. Just recently, my friend David Cohen wrote a simlar blog post about envisioning things to happen. While I’m not smart enough to get my arms around how things like this happen, I’m a believer. Great story Mark.Funny how things work out, huh? Lindel, maybe we’ll start having visualization sessions for exit? Love to talk. mbs at highway12ventures dot com. Dr. Learned, Thanks for sharing this with me. I like your version too!